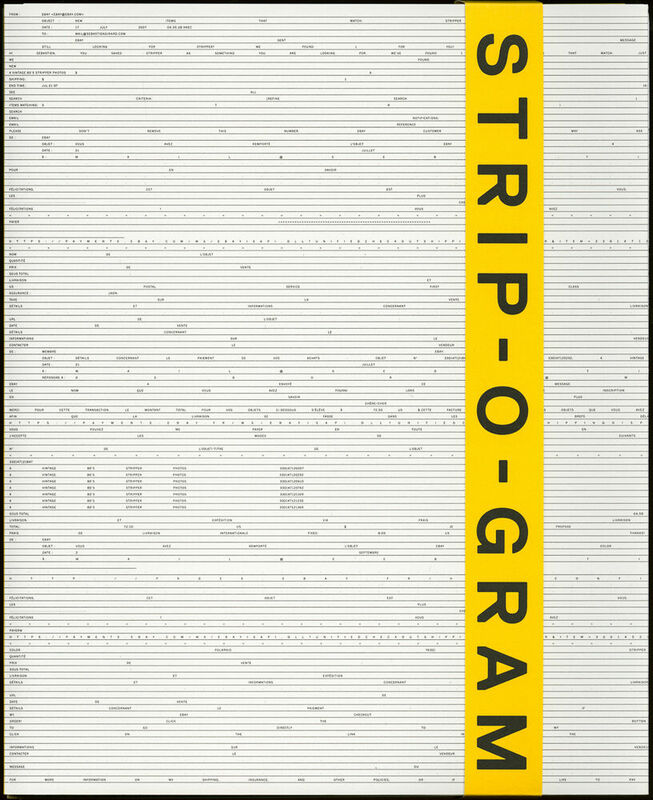 144 Seiten, 30 x 24,5 cm , 1240 g.
After setting up search notifications for items linked to the keyword of “stripper” on the auction house Ebay, Sebastien Girard received email offers between 2007 and 2012 regarding the sales of thousands of amateur photographs taken at domestic strip-tease parties in American homes. 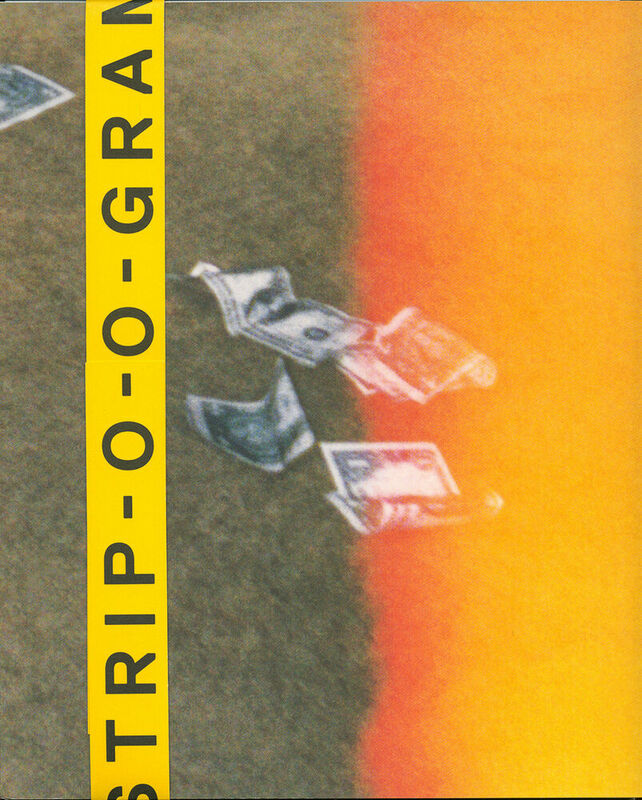 In essence, these notifications and his subsequent purchases served as his own surprise invitation and only possible – albeit virtual – gateway into these living room parties where women of all ages take in the sexual show and photograph these men for hire. 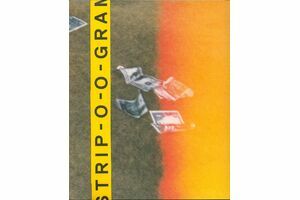 Strip-o-gram is two books in one with the photographs printed on the outer pages and a Japanese binding that allows a partial look at an inner matrix – a slightly hidden text correspondence between Ebay and Girard during their own game of teasing and buying.